Adapting ourselves to the new times, the mission of the order is the redemption of new forms of slavery, such as that of prisoners, broken and marginalized families, battered women, sick people and children without resources. Mercy continues to be a prophecy in history, through a journey of 800 years of sanctification and evangelization focused on the promotion of the dignity of the human person who constantly needs to renew, die and resuscitate for new life. All the religious news of the communities of our province. Pioneers in the BEFORE-DURING-AFTER the social action of the prisons. The Obra Mercedaria Foundation channels the social work of the Mercedarians. Do you want to know more about Jesus Christ and follow his call in Mercedarian key? 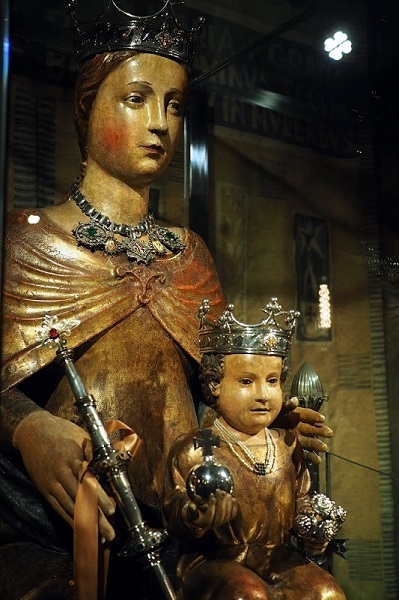 In addition to the veneration and worship of Mary of Mercy, Pedro Nolasco and his friars have felt a special predilection for the churches in which Mary is worshiped, either because the Order built them or commissioned them. In this Marian and redemptive journey in every place where there is a Mercedarian presence, important sanctuaries have been erected in the various nations where we are present. In the province of Aragón we have these three treasures.